The ACL1 is an optical flow image processor optimised for automotive and machine vision applications. It offloads the repetitive processing that is required by optical flow. The processing is performed using a dedicated core that combines the advantages of a small hardwired unit, whilst retaining the flexibility of parameter selection via software. 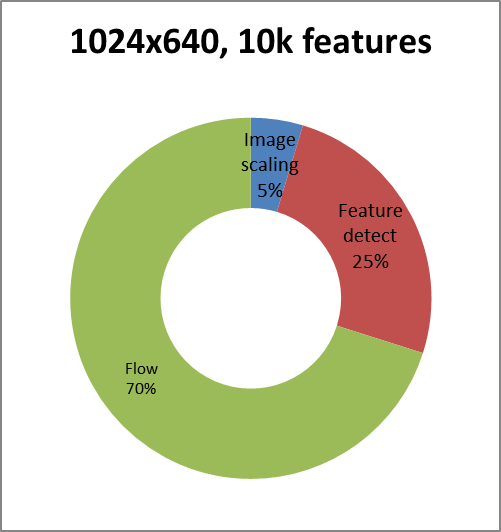 The graphic to the right shows the percentage of a frame taken to perform optical flow on a 1024×640 pixel image assuming 10k features and a single flow engine. Due to the flexible nature of the sequencing it is possible for the host or other image processor to intercept, generate or modify the scaled images, pre-flow and post-flow feature lists. This could allow an alternative feature detection or sharing of scaled images with another processor. 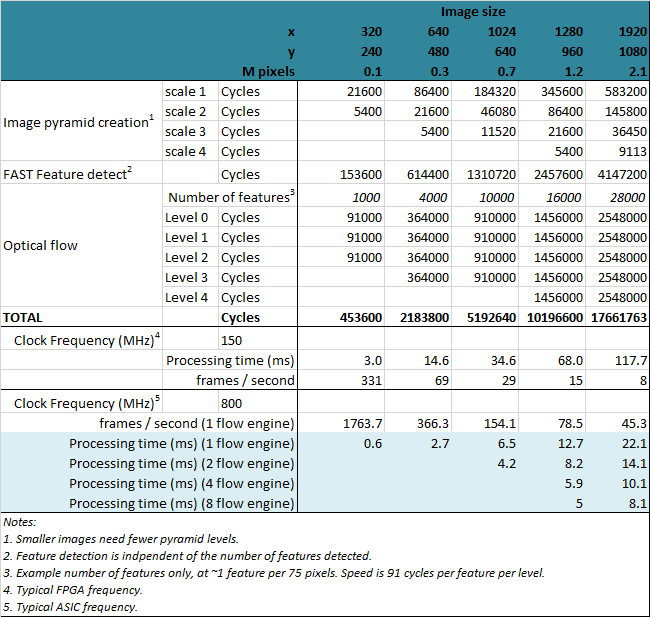 The table below shows the cycle times and frames per second for the various stages for different sized images. The graph below shows the gate count for different flow engine options. 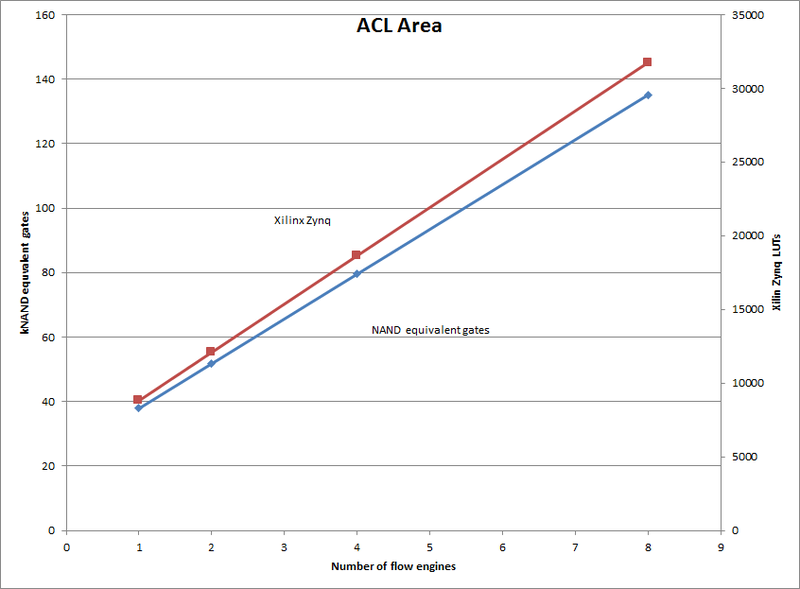 The ACL represents the ultimate performance for optical flow image processing.